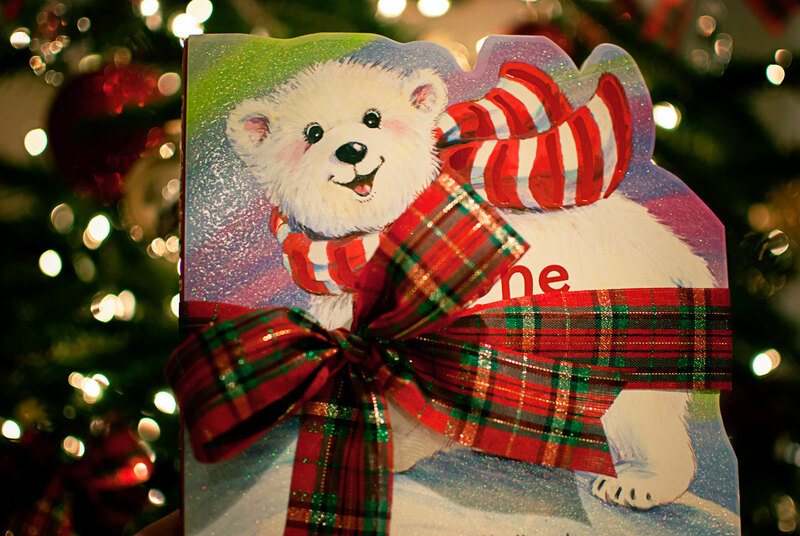 One Christmas Bear is an adorable book with colorful illustrations and simple rhyming text. The story follows a cute and cuddly polar bear who has fun Christmas adventures with his arctic friends. My kindergartner and toddler love to read books, especially books that are interactive. 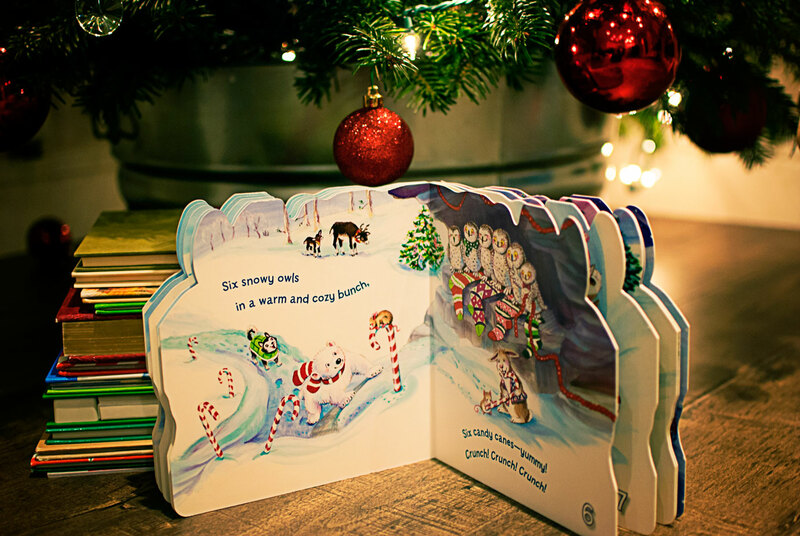 One Christmas Bear counts the blessings of Christmas throughout the book. My kids love counting, especially now that the toddler is learning her numbers. The book is cut in a fun shape and is a "board book". It is sturdy with thick pages that can survive just in case a younger sibling decides to use it as a teething toy. (Not that it has ever happened at our house...ha!) The story is geared for toddler to preschool age kids, but as I mentioned above, my kindergartner loves to read with her sister. I think most kids of all ages enjoy being read to! 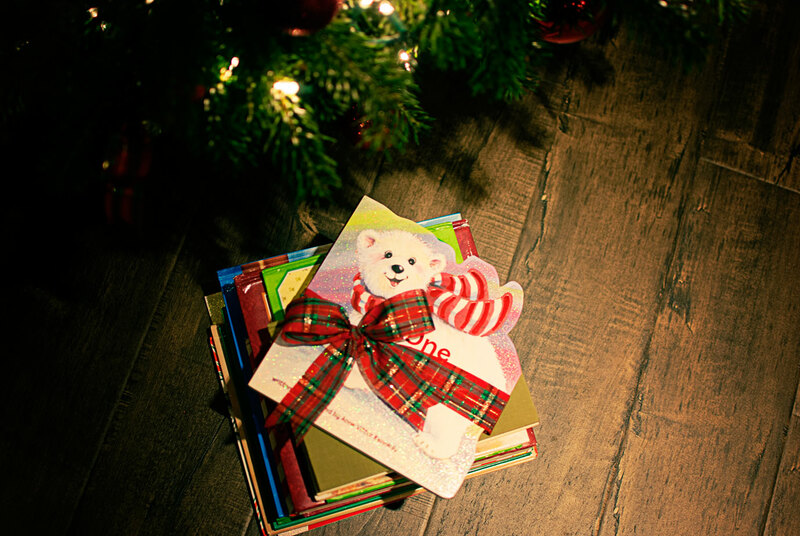 When I'm shopping for Christmas books, I love the traditional and fun holiday books with Santa and Elves and snowmen. However, as a parent I really appreciate when I can find a fun book that also incorporates our faith and the reason for the season - the birth of Baby Jesus. One Christmas Bear does a great job placing emphasis on Faith, Family, and Friends too! 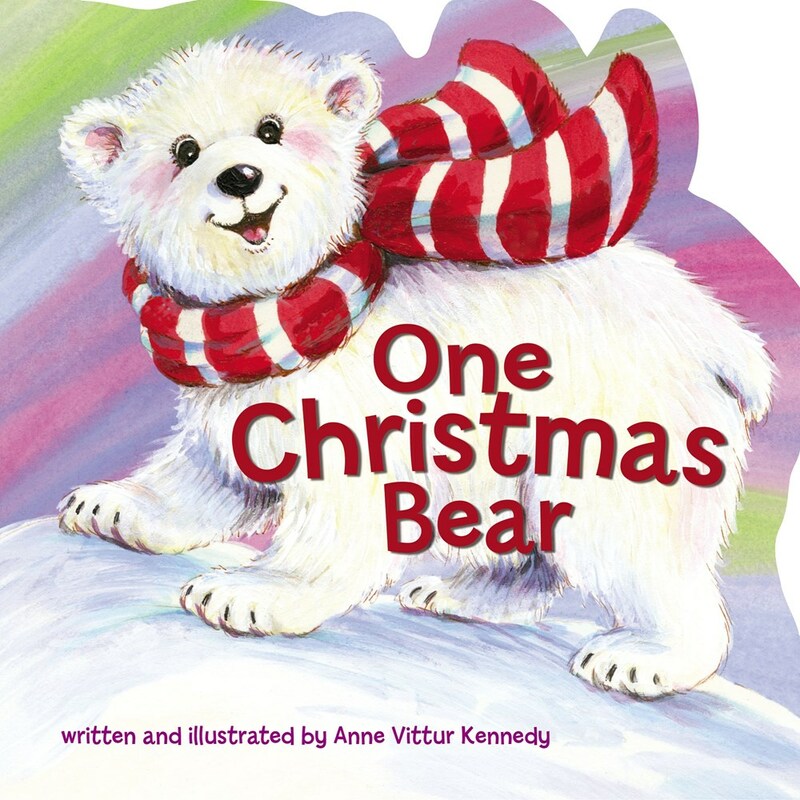 One Christmas Bear author, Anne Vittur Kennedy has been delighting young children with her humorous and playful books for thirty years. 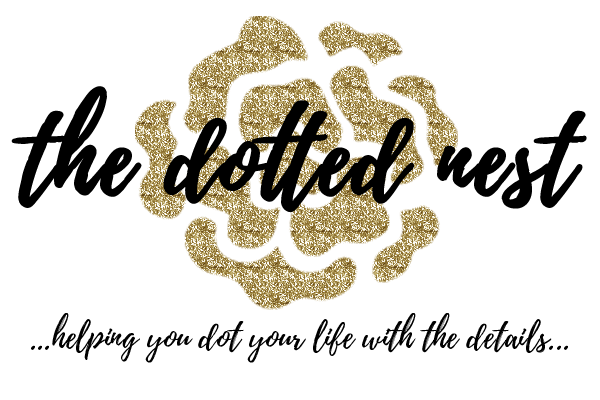 Her awards include American Library Association’s Notable Books List, Teacher’s Choice, The Green Earth Book Award, and The Green Prize for Sustainable Literature. 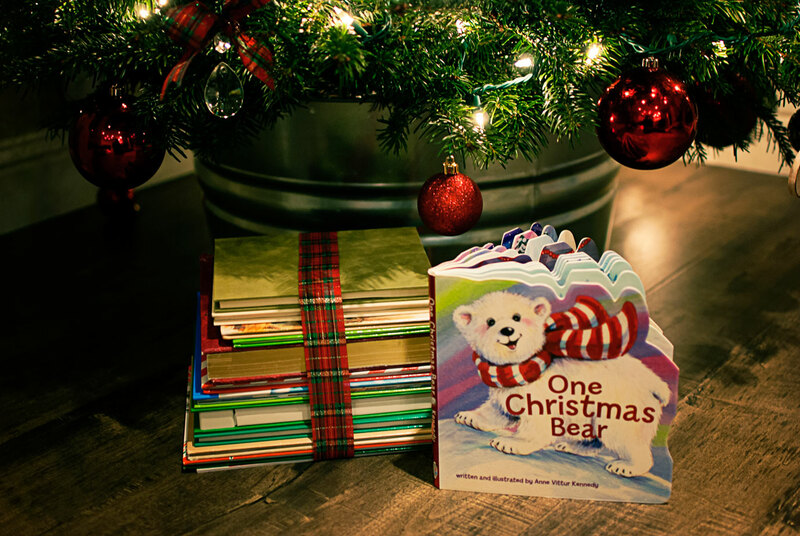 One Christmas Bear is definitely a book I'm excited to read with my daughters, and to have included in our Christmas books collection this year! 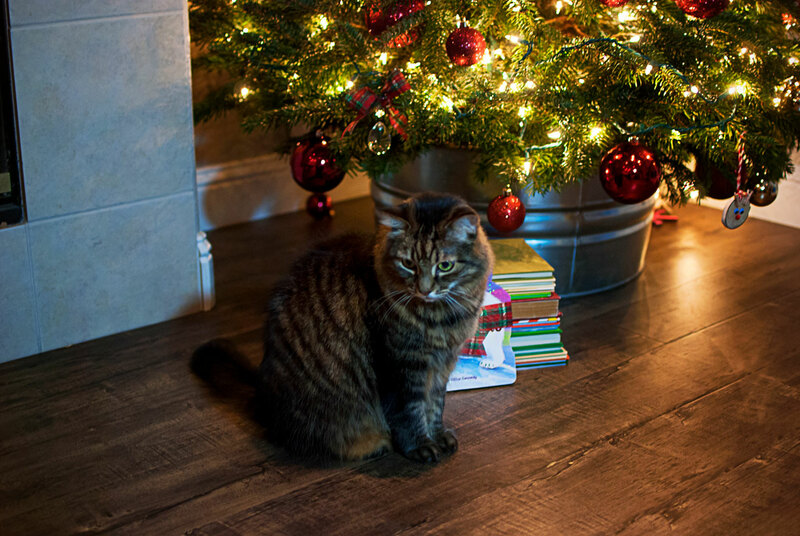 I know that it will be one that we will enjoy reading together in the Christmas years to come. 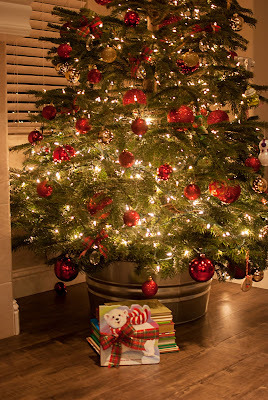 Do you have any fun Christmas traditions that you do with your family? I'd love to hear about them! Let me know in the comments below! Outtake photo...that moment when your furry and lovable cat won't let you take a photo and demands all attention be on her. Oh, Sweet Silly Samantha Cat!